Our Tuscaloosa cosmetic surgery practice is dedicated to rejuvenating and enhancing your natural beauty using state-of-the-art cosmetic procedures that will result in beautiful, natural results that make you look better and feel more confident about your appearance! A standard of excellence in personalized care enables us to provide the quality cosmetic enhancement services that our patients deserve. Our Tuscaloosa plastic surgery office provides comprehensive treatment planning and follows strict standards that ensure your surgery will go smoothly and provide the results you desire. As a practice, we are true believers that excellence in performing plastic surgery procedures is derived from both education and experience. We strive to keep current on the latest techniques and standards so we can provide our patients with the safest operations, and the most optimal results. That’s why we focus on thorough exams – checking your total health before performing any procedures. We also know that surgery is never routine, no matter how many hundreds of times we have performed such procedures. We never take for granted that you have placed a great deal of confidence in us. For this reason, a review of your medical history, your current health, your expectations for your surgery and your motivations for electing any cosmetic procedure are all taken into consideration before we even agree to perform any procedure. Building a foundation of trust by treating our patients as special individuals is vital to our success. We understand how uneasy some patients may feel about cosmetic surgery, and how we can make a difference in providing a life changing and emotionally positive experience. 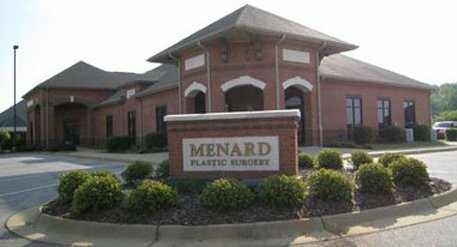 Dr. John Menard and the entire team at Menard Plastic Surgery are dedicated to providing you with excellent, personalized care and service to make your consultation and surgery as comfortable and pleasant as possible.